Hollywood in Branson? Absolutely! 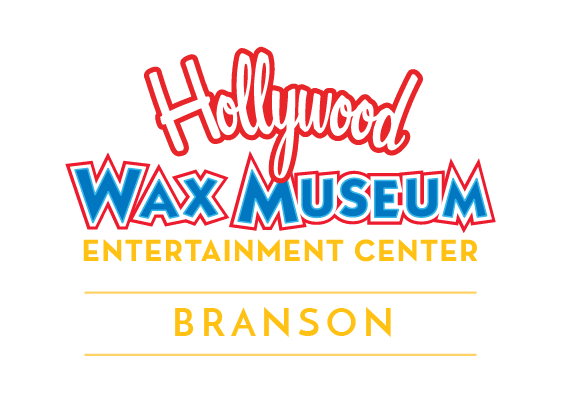 When the world-famous Hollywood Wax Museum, located in the heart of the famous California city right along the star-lined Hollywood Walk of Fame, decided to expand to a second location in the US, Branson was our first choice. 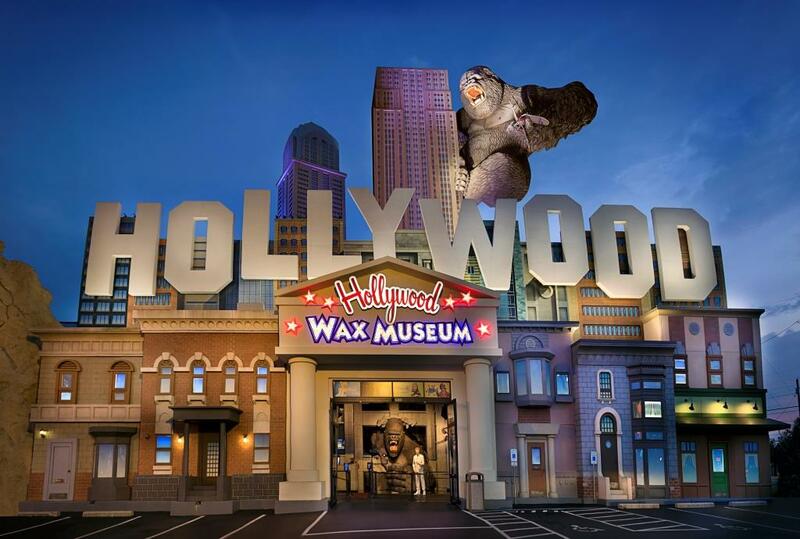 Hollywood Wax Museum Branson has embraced its authentic Hollywood legacy and expanded to entertain guests with four attractions within one entertainment center. The Hollywood Wax Museum Entertainment Center, dedicated to showing off wax replicas of favorite stars, both past and present, opened in 1996. The attraction was an instant smash, partially due to its visibility and unique exterior. Located on Highway 76, Branson’s main drag, the original building featured a large Hollywood sign, plus its own version of Mt. Rushmore that included the sculpted faces of four of Hollywood’s most recognized stars of yesteryear. Years later, a multi-million dollar renovation added another eye-catching aspect to the building’s façade: a New York City skyline complete with the Midwest’s largest primate scaling a high-rise building. With 15,000 square feet and two stories, the building comfortably houses a unique collection of wax figures. Each life-size, life-like wax figure is made by a team of talented Hollywood Wax Museum artists, starting with a sculptor who creates the heads and faces from common lumps of clay. Once complete, the transformation is incredible and the likeness to the celebrity is undeniable. To add to guest’s enjoyment, an expansion of the facilities made room for two new attractions, Hannah’s Maze of Mirrors and Castle of Chaos. In Hannah’s, you can find your way through hundreds of mirrored archways in a gallant quest to unlock the maze from Ugly Hetty’s spell and save Princess Hannah. The Castle of Chaos is a first-of-its-kind 5D adventure combining an exhilarating ride and an action-packed game in one, fun attraction. The entertainment center also has the most fun putt-putt course in Branson, Shoot for the Stars Mini Golf! Hollywood Wax Museum Entertainment Center also offers a unique Branson shopping opportunity at the Studio Store, where you’ll find the Midwest’s largest collection of celebrity souvenirs and memorabilia. When planning your Branson vacation, purchase tickets to this attraction online. We look forward to sharing our authentic piece of Hollywood with you!